Sniffling, sneezing… coughing and wheezing. Four not so nice words that leave you feeling icky, tired and perhaps even a bit irritated. It’s no secret, having a cold SUUUUUCKS. And to make it an even more confusing event, trying to decipher the questionable ingredients in most common cold medicines will leave your head spinning. From dangerous food dyes (yea, I’m talking FD&C blue 1) to sugar-packed syrups, there is hardly anything safe and natural regarding drug store remedies. To avoid having to risk exposure to these questionable ingredients, a great alternative is to make a remedy yourself with readily available ingredients. The cough drop recipe below contains ONLY natural, organic and safe ingredients. Make a batch to have available should a cold come a calling! Put coconut oil into a mixer bowl and beat it until it's whipped (use a hand or stand mixer). Add honey and continue whipping mixture until the oil and honey are blended. Scoop mixture into small ice cube trays. Freeze for 20 minutes or until the cough drops are hard. 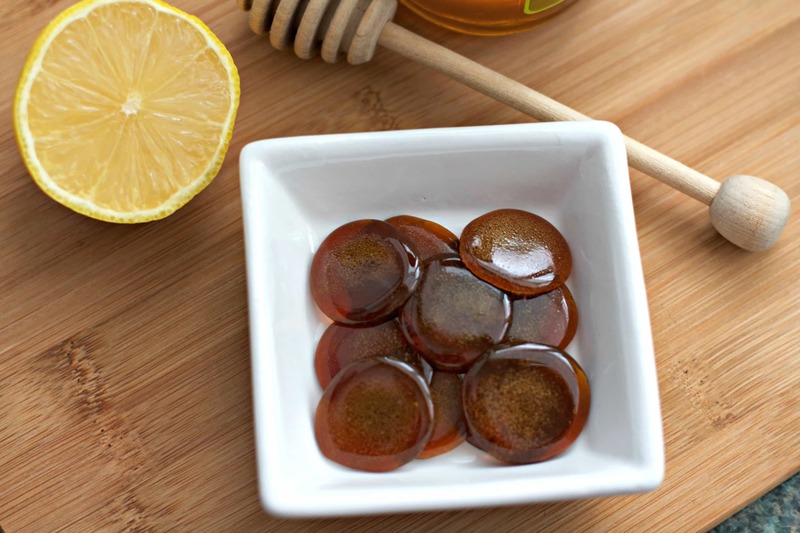 Remove cough drops from ice cube tray and store in an airtight container in your refrigerator. Known to naturally suppress coughing. Helps with sleeping due to respiratory infections. Take a few teaspoons of local raw honey prior to pollen season to help increase your immunity to pollen. Contains lauric acid, which is antiviral and antibacterial. Reduces the length of sicknesses. Soothing for your throat when added to warm honey-lemon water or tea. Helps fight bacterial and fungal infections. Hopefully there won’t be a next time, but if you do come down with a cold, reach for these natural and effective cough drops to ease your symptoms and soothe your throat. Know someone struggling with a cold? SHARE this recipe with them now!